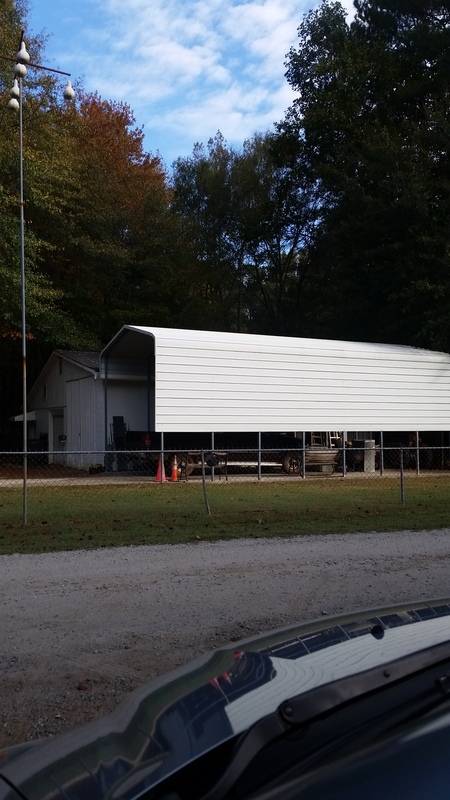 Shown here: Many of our installed carports, metal barns, RV covers and more! If you feel like taking your pets in and out of the house is a big pain, or you want to travel and cannot take your pets, then you have to see this post. What a great idea! The dogs can go outside, do their business and come back inside with minimal maintenance for humans. 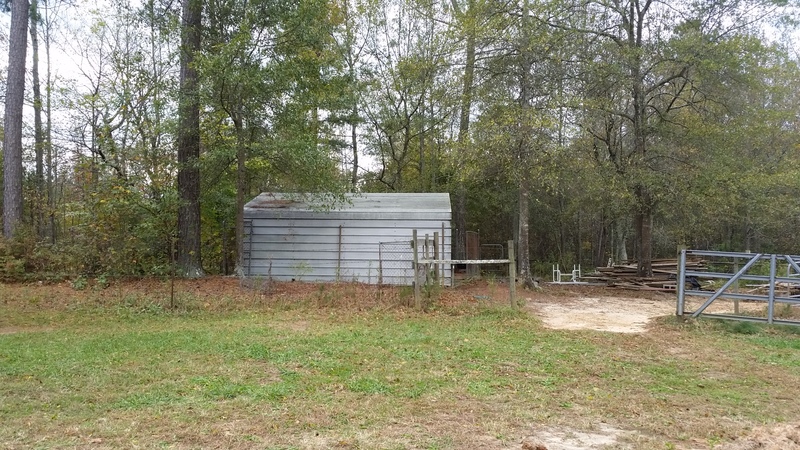 What we did: install a pet door in our home and a small pen in the backyard. 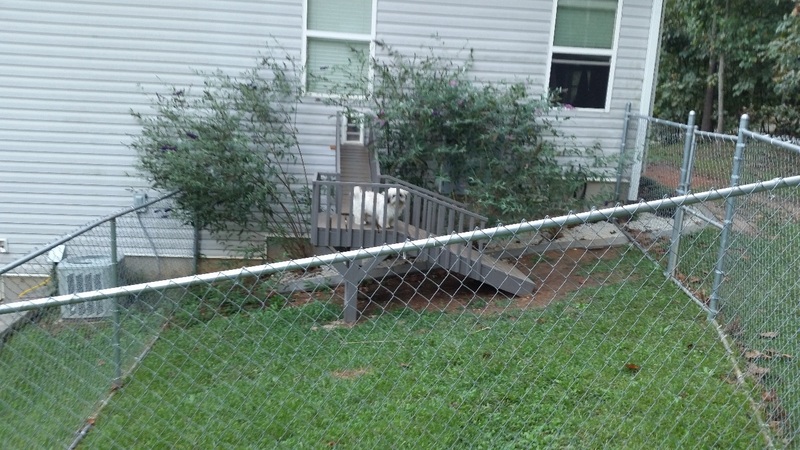 This setup shows a pet door on the side of our house with a cute ramp and pet porch for the dogs to enjoy the outdoors. 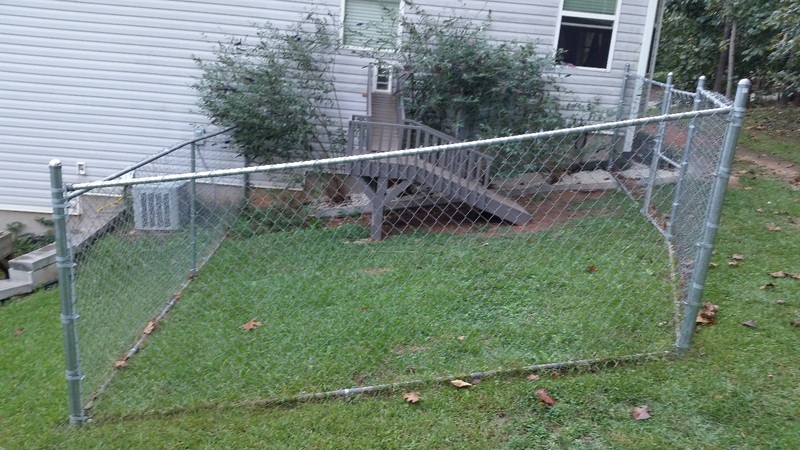 There is a ramp and the dogs can go into our out of their pen area. Why it’s good: Since we live in the country and our whole yard is not fenced in, this pen allows our three dogs to go outside and also be protected from anything outside the pen, like stray dogs for instance. This is a small section of chain-link fencing, some wood for the porch, material to cover the ramp and a dog door. It is a cost-effective way for the dogs to go outside whenever they want so that we do not have to drag three dogs around on leashes. Whenever they want to go outside, they can and then they come inside whenever they want as well. 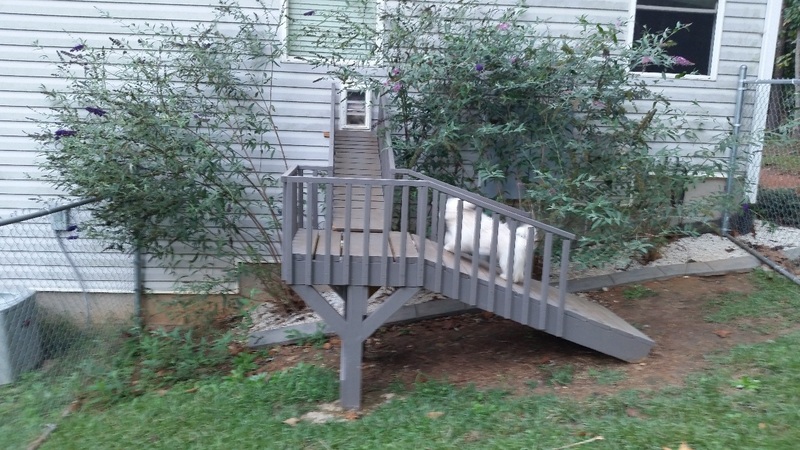 For the pets: This pet porch allows a nice spot for the pets to rest outside. The dogs love being able to see what is going on and also lay in the sun on warm days. They can lay under the porch for shade whenever necessary too. Because of the dog door, the dogs can also come inside to the air conditioning if it’s hot outside. Likewise, they can come inside for heat if it is cold outside. 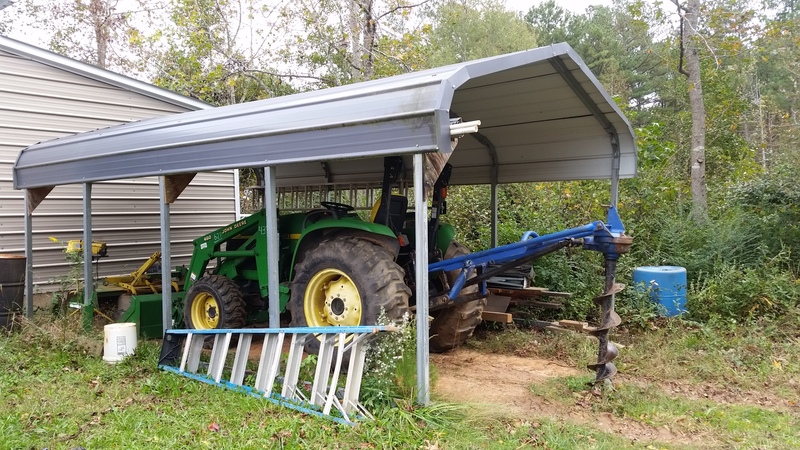 Because there is a grade to the property, the land is uneven under the pet door, which required a few ramps to accommodate. 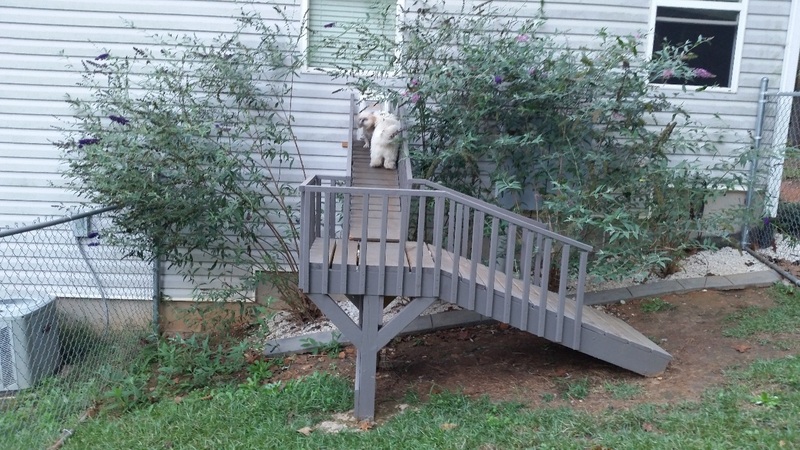 As you can see, this ramp and porch style works well for us and our pets. Ease of use: The dog door is easy to install and has two flaps to protect from the heat and cold getting inside or outside the house. There is a magnetic flap on the dog door, which help keep it sealed when the pets are on either side of it. It took less than two days for the dogs to understand that they can easily get through the dog door. 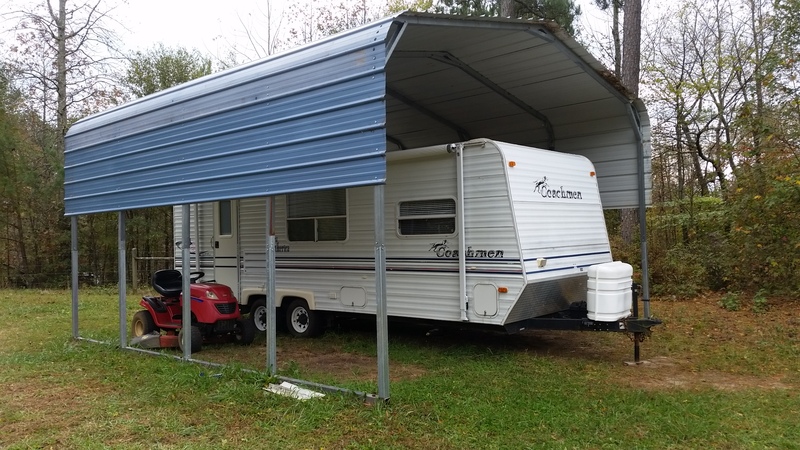 Travel bonus: Another thing this system as done for our family is that it allows us to go on trips away from home without worrying about our three dogs. We can leave the pets with plenty of food and water (automatic or whatever) and they can go outside whenever they want. 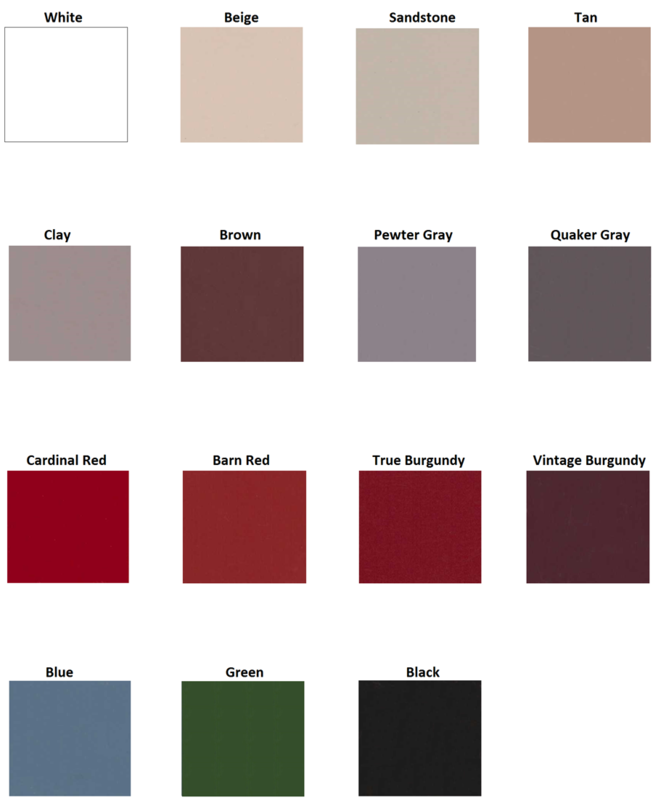 This is a low-maintenance system as well because it is easy to keep the pen clean. Once a week, the kids use our gas-powered blower and/or a hose to blow or wash leaves and buildup out of the pen. This way, the area is kept clean for the dogs and they are more encouraged to use the space as it is designed to be used. 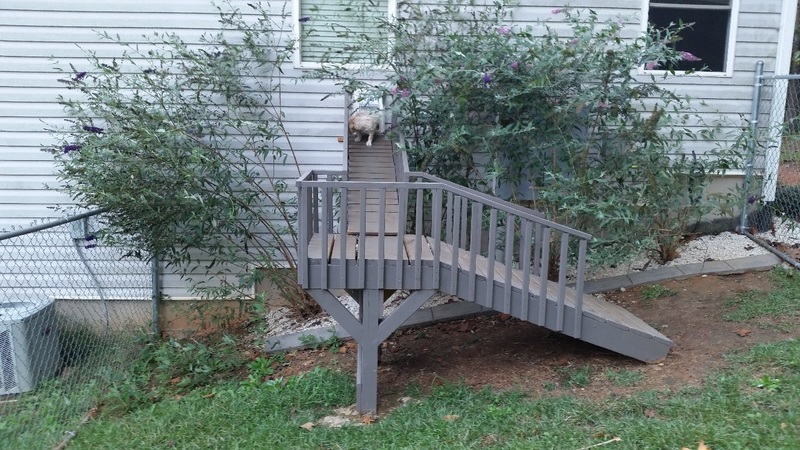 Think about the idea of building one of these great low maintenance pet escapes for your home! It works great for everyone and frees up your time so that you can travel and have happy pets at home. 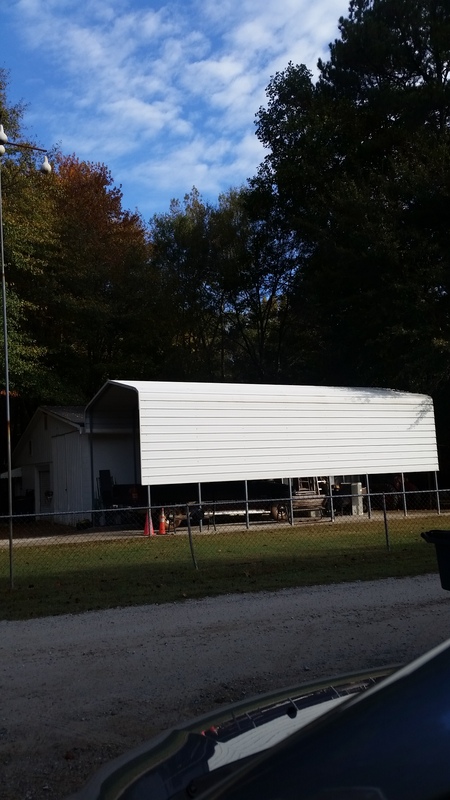 What a unique building structure this is; a metal garage that is a full 30 feet wide by 70 feet long! 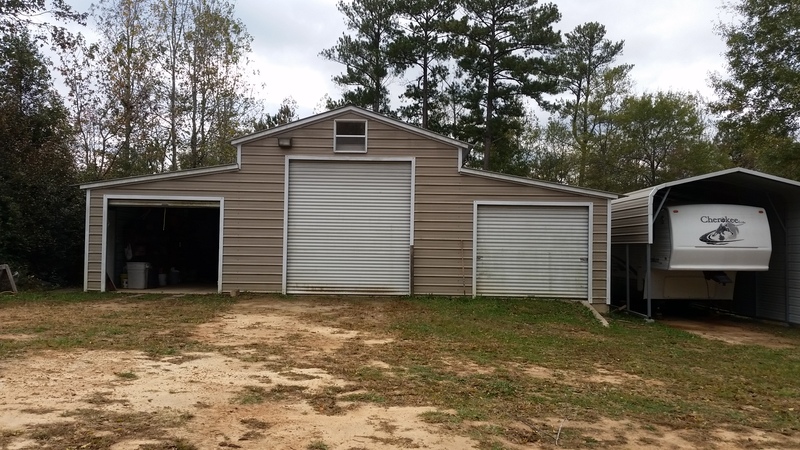 Feast your eyes on this gorgeous engineered dream…A tall garage made of steel that is so long, it will easily accommodate six large work vehicles. 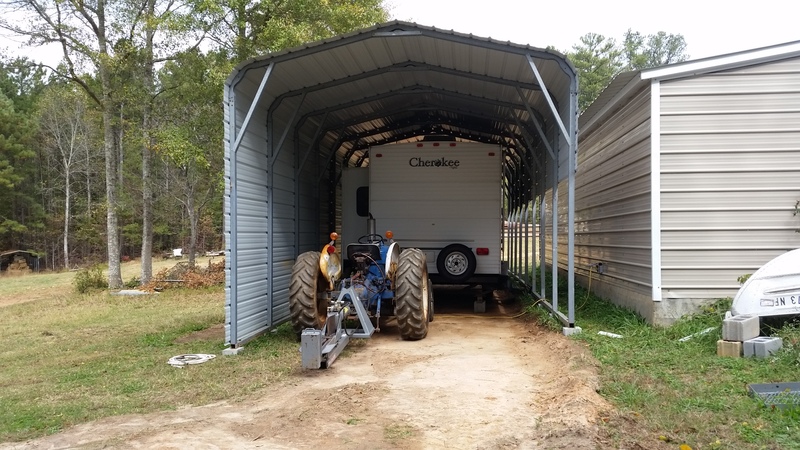 Tractors and trailers, a golf cart, a backhoe can all be stored in this tidy but large garage. 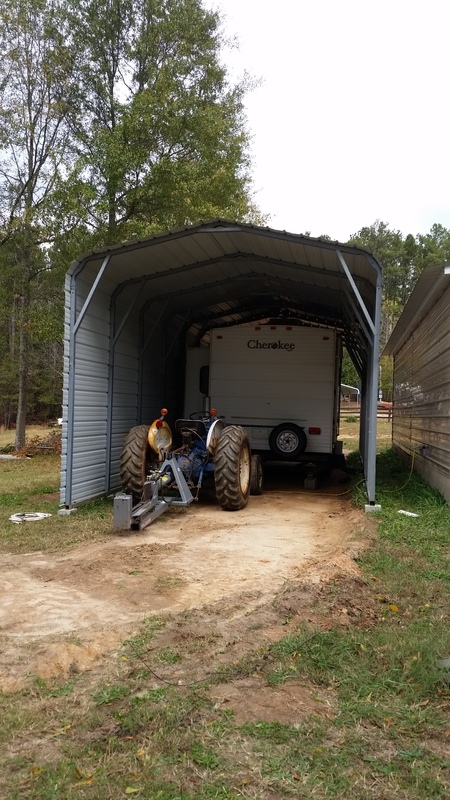 This garage is above and beyond the average person’s needs because it caters to people or businesses that need to safely store large vehicles all together in one structure. 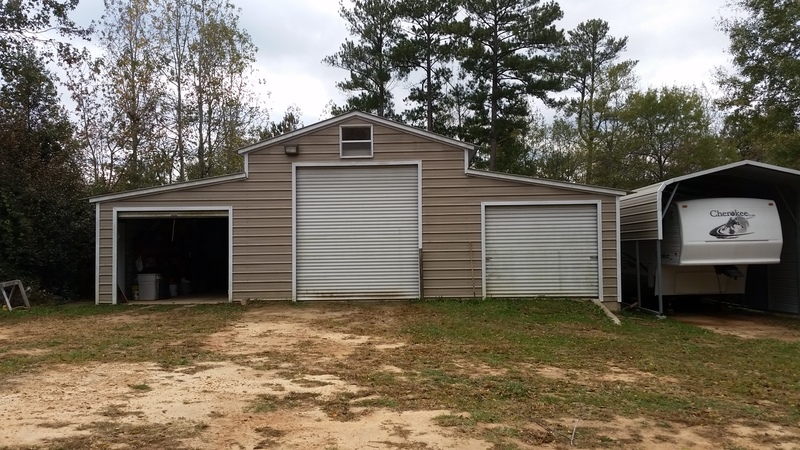 For home use, this garage could be built to suit your needs, even including parking a school bus or RV, camper or 5th wheel travel trailer. 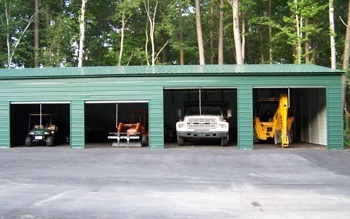 With this garage, you can safely keep your large trucks or vehicles out of the weather and protected from snow, ice and wind. 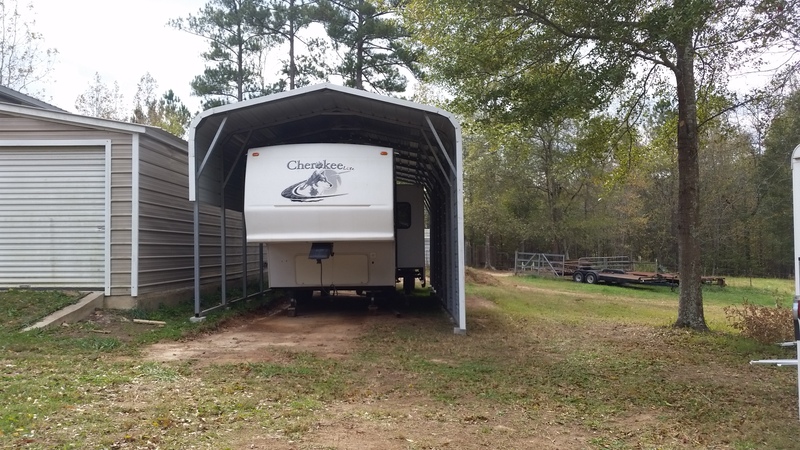 No matter where you live in the USA, this engineered building will keep your stuff covered and protected while still allowing you plenty of room to work. 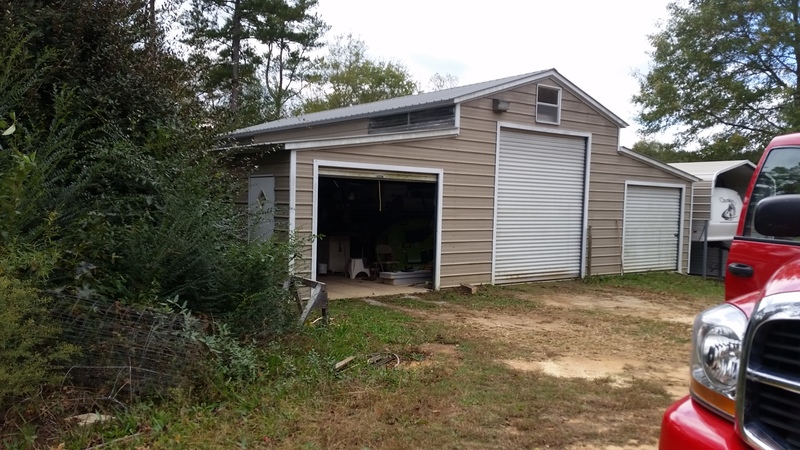 Get an instant online price for whatever size steel garage you are interested in!